We understand how marijuana growing can be a long and difficult process. But, it doesn't have to be! Our grow guides are here to give you in-depth knowledge and insight on growing techniques to make your life a little easier. Whether you're growing marijuana indoors or out, our grow guides will teach you everything you need to know about how to get the best harvest. When it comes to growing your own bud, excellence is the standard. Now, with our grow guides, you will be better equipped to grow your bud just the way you like it. We cover everything from seed germination to harvest and beyond. Choose a topic you want to learn more about and read articles prepared for you by seasoned grow experts. Indulge in the best grow techniques there is to offer. With a little bit of our help and a lot of your hard work and ingenuity, watch as your harvest becomes the best yet - time and time again. We are here to see you become the best grower you can be. Read and leave comments to share your knowledge with the rest of the community. Take the time to perfect your craft today. Happy reading! A common misconception when growing indoors is that humidity control is overly complicated and best left to mother nature, let’s understand why it is important to keep track of humidity when growing cannabis indoors. Keyw.. 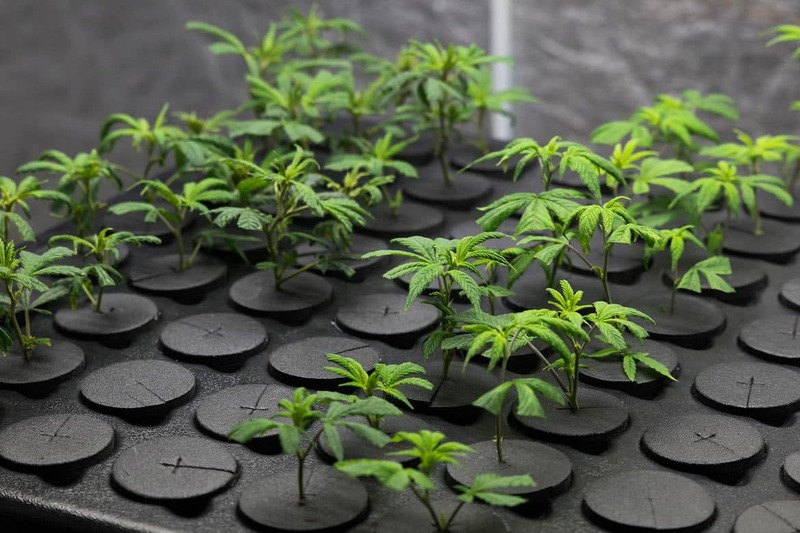 Growing Marijuana can seem like a difficult task for the new-comer. With Canada recently becoming the second country to legalize Marijuana, the opportunity to grow your own cannabis is appealing to a large number of people. So w.. Growing outdoors does not require as much equipment as indoor growing . Yet, your plants can grow much larger, indoors than out. Wondering how many things you need to get started? Here's a brief list of what you'll need: Soil -.. Choosing the right sized pot for your cannabis plant is important for providing it a healthy space to develop. It shouldn't be a chore to figure out what size pot you need, or even how to go about the transplant method, but it d..
Germination is the process where a plant breaks through its seed casing. It describes the first moment of the plant's lifecycle. The process begins when a seed is deposited into a moist area. The moisture will provide the seed s.. There are many different types of fertilizers for use in gardening and growing. Let's discuss the variety of fertilizers which cannabis growers may be interested in. First, if you are using a soluble fertilizer, it should not be..